Add Jared Kushner’s all-too-cozy relationship with the Chinese to the long list of Trump administration corruption, conflicts of interest, and unholy foreign entanglements. In a previous post (#177) I reported on Kushner’s extensive real estate holdings, he and Ivanka Trump’s wealth, their significant bank debts, and his by now well known efforts to cultivate ties with the Russians. All these activities, including his lying about Russian contacts, should, I argued, keep him from obtaining a national security clearance and bar him from involvement in official diplomacy. 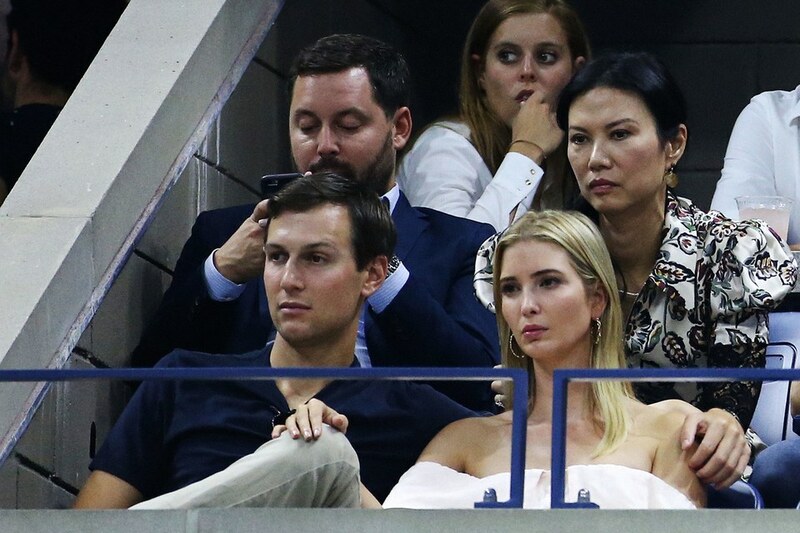 Now, Adam Entous and Evan Osnos, writing in the January 29 issue of The New Yorker (www.newyorker.com/magazine/2018/01/29/jared-kushner-is-chinas-trump-card), point to Kushner as the likely target of an investigation into “a member of the president’s family” whom Beijing may be seeking to influence, doubtless with the lure of money-making opportunities. Kushner has had frequent one-on-one contacts with China’s ambassador to the US, Cui Tiankai, both during and since the transition. We don’t know anything about the substance of their discussions. But the FBI counterintelligence division has warned Kushner that he is a leading Chinese intelligence target and that another Chinese national, Wendy Deng Murdoch, the ex-wife of Rupert Murdoch and a friend of Kushner and Ivanka Trump, might be a Chinese spy. Yet Kushner remains a major figure on Trump’s foreign policy team, and while he has yet to receive a top-secret clearance, he continues to have access to the same top-secret reports available daily to the president himself. Kushner and Ivanka Trump have multiple investments with Chinese partners—he in real estate, she in women’s apparel. Like Donald Trump, the Kushners make no distinction between public service and private gain; the former is used to support the latter. Reportedly, Kushner sees no reason to curtail his China activities because he cannot imagine being used by Chinese officials and business people for purposes antithetical to US national security interests. No evidence has been brought forward to show that Beijing has tried to manipulate Kushner’s commercial aims. Indeed, he supposedly stood against Steve Bannon’s hardline approach to China and believes, like Henry Kissinger (who introduced Kushner to Chinese diplomats) that regular high-level contacts with Beijing can ease tensions. Done transparently and professionally, such engagement is fine. But Jared Kushner is a foreign-policy novice who seems, like his father-in-law, uninterested in expert opinion and all too interested in making lucrative deals. The way he has conducted his “peace plan” for the Middle East is indicative of both his amateurism and his greed, providing good reason for terminating his role as a representative of the United States. Super well written piece on Kushner. It stirs me to wonder whether or not Russia and China are in a race to see who can manipulate the US government the most. There’s a book topic for you, though I know you said you’ve written your last. Tell me it ain’t so…. Speaking of books, how about this one for piling on the irony:**Dereliction of Duty: Lyndon Johnson, Robert McNamara, the Joint Chiefs of Staff, and the Lies That Led to Vietnam by H.R. McMaster. I’d be interested in it were it not for the author’s lack of cred. My visa got renewed–again. I’m already the oldest guy at the local gym, but soon that title may extend to the class of ex-pat Americans in China.